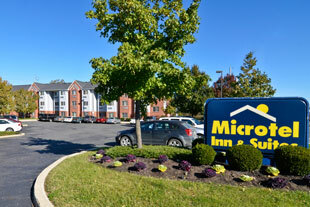 Less than one mile from Philadelphia International Airport, Microtel Inn & Suites Philadelphia Airport is a contemporary hotel for your life on the go. Enjoy upgraded rooms with plush beds, work and relaxation space and free Wi-Fi, and roomy suites with kitchens and sitting areas. Wake up to a continental breakfast, print your boarding pass in the business center, and hop on the 24-hour airport shuttle.Go discover Philadelphia, from the Liberty Bell and Harrah's Casino, to the shopping, dining and entertainment in Center City, just minutes away. Whether it's a refill on your morning coffee or midnight shuttle to the airport, our Philadelphia hotel delivers an exceptional experience for business and vacation in the City of Brotherly Love.